April 23: Read books that relate to money concepts. I have recently reviewed two books for kids and two books for teens. April 24: Check out some great online money games for your child. I have a recommended list on the home page of this blog. 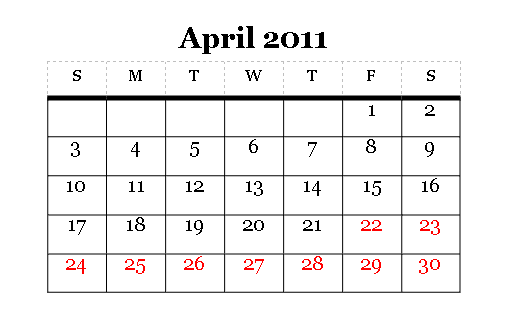 April 25: Have your child wait a week or two before purchasing a big item. If they still want it after a week or so, then it is probably a good purchase for them. If the excitement has worn away, they can probably live without the item. Delayed gratification can reduce impulse purchases. A blogging friend of mine, Suzanne Parker at Growing Rich Kids, recently wrote a great article about Delayed Gratification. April 26: Count and roll the change in your house. Kids will be surprised how much the change can add up to. April 27: Encourage your children to donate or sell toys that they no longer play with. April 28: Reduce your kids’ exposure to ads. You may just see a reduction in the "gimmes!" April 29: Don’t be an ATM for your teen! When he runs out of money due to spending or poor planning, make him wait until the next allowance day. 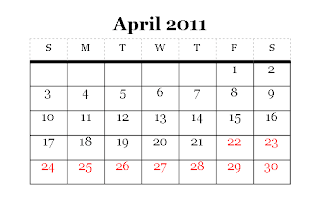 April 30: Consider matching or paying interest on money that kids save. Let's continue the conversation! What ideas or tips do you have that have worked with your kids?